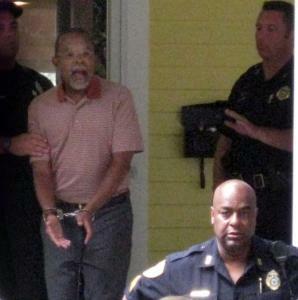 When I read about Harvard Professor Henry Louis Gates, Jr. getting arrested at his home in Cambridge, MA, I cringed. As the story unfolded, it became clear to me how easily this can happen. Simply misunderstandings, a cop doing his job, and racial profiling all worked together produced yet another incident that we all could, but probably won’t learn from. I wasn’t there. I don’t know what happened. I don’t know what the initial exchanges were like between the police and Professor Gates. I do know, or at least I believe, that this would have never had happened if Gates was white. What concerns me more so is something that’s being overlooked by the media and, as far as I can tell, Gates himself. The copes shouldn’t have been called in the first place. Professor Gates comes home from a vacation via a cab and finds that his front door is jammed. The cabbie, who also happens to be black, helps him open the door. For this, the police are called. Now, I have no idea what happened with the interchange between Gates and the cop. At first glance, the cop was obviously doing his job. He was responding to a possible break in. And perhaps all the cop did was ask for some sort of identification. Perhaps Gates should have obliged. But perhaps the cop should have given Gates the benefit of the doubt. It’s my guess that if Gates were a 58 year old white man (or woman), he would have. But Gates, standing there in what appears to be a Izod style shirt, isn’t white. When I see stories such as this, I see different standards. It takes me back to the incident involving Dee Brown. Dee Brown was the first round draft pick of the Boston Celtics back in 1990. He was a black man who had settled into the Boston suburb. Apparently, a “normal sized” black man had robbed a local bank. When the cops saw the giant Brown, they stopped him and ordered him down on the ground, flat on his stomach. Put a gun to his head. The fact that he didn’t fit the description of the suspect outside of race meant nothing. He was black. Therefore, he was guilty. Nice way to be treated by your adopted city. I grew up in New England. White people, nice white people, living in white suburbs aren’t used to seeing black people in their neighborhoods. So they freak. They may admire Martin Luther King Jr. Hell, they may have even voted for Obama. But see a black guy down the street and it’s OH NO. I thought that was ending. I guess not. So, to me, the real problem is not just with the cops. It’s not with whatever reaction Gates had to the cop. It’s with the fact that a black guy can’t get his front door unjammed without having the cops called. UPDATE: Thanks to KSmith who pointed out to me that Dee Brown was 6’1″ and not 6’10”! Absolutely no one should be surprised of how these types of incidents occur day in and day out in America. These people knew who Professor Gates was. It was merely an attempt to humilate him, ruin his reputation and belittle his dignity as an American Citizen and World Reknown Author, Lecturer and Professor. Recently, I personally have experienced extreme racism in Arizona when authorities continue to allow a buisness identity thief and copyright infringer to get away with peddling a counterfeit of one of my copyrighted sports photo-posters as white men earn millions from the sale and distribution of my creative work. I have been repeatedly to law authorities on every level for help and have been denied equal protection under the law by the FBI, Arizona Attorney General, The United States District Attorney in Phoenix and local, county, and state agencies and have been to the media as well. There is a double-standard in America that controls the way Justice is dispensed and who gets adequate legal representation. What baffles me the most, is that these things happen over and over and when questioned about their police abuse of power, they get amnesia, concoct lies, distort the facts, and look for scapegoats. Most white men are in denial about their crimes against humanity all across the globe, since the conquistadors set sail from Europe. We cannot continue to put up with this insanity like we have in the past. Either we live or we die in defense of our rights as American citizens or continue to get shafted, as we contribute to make this country live up to the true meaning of its Constitution. The United States are divided and will never be a true democracy unless White America truly repents and turns around from their evil and systematic racial double-standard behaviors. Furthermore, their denial of their racism borders on insanity and is a direct result of why this country is falling down into the abyss at a rapid pace. When they “man-up” to their ignorance and stupidity, maybe things will start to change, but until then, expect more of the same. You’re acting as if there’s this secret cabal of white people – or perhaps more specifically, white men – to do things like steal and profit from your work and worse. You’re wrong to think that this was an organized attempt to humiliate Prof. Gates. The cops had no idea who he was. They don’t follow famous professors from Harvard. They do police work. One of those things they do is respond to calls from citizens. And this call was an illegitimate one based upon a citizen’s racist viewpoint that two black males pushing open a front door of a house must mean a break in. Then the cop, seeing Prof. Gates being agitated, stupidly decided to not cooperate back. That made Gates more agitated. But some cops do that all the time. The problem is that the phone call shouldn’t have been made in the first place. Sorry, but that’s lunacy. I’m a white guy and I bear no responsibility to what imperialistic Britain and France did, nor the Nazis, nor the any of that. Sorry, I didn’t do any of that. Right now, the worst human rights violations have been occuring in Africa. In Sudan, Somalia, Uganda, Sierra Leone, Liberia, and the Congo have all witnessed massive slaughters. And they ain’t white run countries. And many of the victims through history have been white. Jews and practically everyone else in Europe because of the Nazis in WWII. The Irish for centuries by the English. If you’re going to be understandably and justifiably upset about the treatment Prof. Gates – based on racism, then please afford us white folks the same courtesy of not racial profiling. You are right this never would have happened if Gates was white because any white person would just show their ID and not argue with a police officer when asked for and ID. Well, no, I know of and have seen white people react that same way that Gates did. Plus, this happened in his home. You and I don’t know what really transpired. I’ve seen arrogant cops. I’ve seen good cops. I’ve seen people react poorly when getting confronted by a cop. I’ve seen people cooperate when confronted by a cop. White. Black. Whatever. I am in agreement with your comments and found your blog through Google by searching Gates and Dee Brown, as I also immediately flashed back to the Dee Brown incident, so sadly similar many years later. One note: Dee Brown was a 6’1 guard, not 6’10. You may want to correct that aspect of your post because it’s inaccurate, takes away from your otherwise damning reference to a very similar high profile profiling. As H.L. Gates says, these are the ones we hear about because they happen to famous/influential people of color – out of how many such incidents that occur every day to… exactly how many thousands of people?